Health Insurance has become necessity today, especially in the view of rising health care cost at busy hospitals. However large number of people still prefer to go hospital without the “Health Insurance” as they assume they cann’t afford the health insurance premium. Thus, if you are looking for cheap and best health insurance cover, here are few top tips on buying health insurance. · Compare Health Insurance: Compare health insurance premium from the top insurance provider to get the best premium. Comprehensive online insurance portal provides advantage of being able to compare policy combinations from across the best insurance providers. · Give your current hospital cover a healthy check: Market is full with best health covers so you have options of switching funds. If you think, your current insurance plan is not as per your need you have options to switch your insurance provider depending upon the few conditions. · Review your extras: Many consumers opt for extra covers, which they really did not need. These extra increases your insurance premium. So make sure your cover satisfied your requirement and the cost of the cover is competitive. · Best matched health policy: Match the Health Insurance policy to your needs. 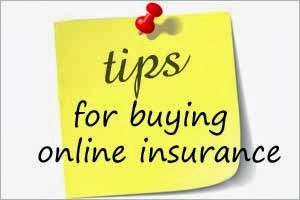 Make sure that your insurance policy covers you for all the services that you need. This will surely reduce your out of pocket expenses. · USE Bajaj Capital Insurance: Bajaj Capital Insurance takes care of all the clients for health insurance purchases and claim settlement. In addition, provides advantage of being able to compare health insurance policies from the top insurance providers. Shop health insurance ASAP because as early as you opt the insurance cover, your insurance premium would be comparatively low.